» Week One of the Wilkie Collins Tour! You have one more day to get in your votes in for the American tour! If you haven’t already voted, go do so! We are so excited for the beginning of the Wilkie Collins Circuit next week. 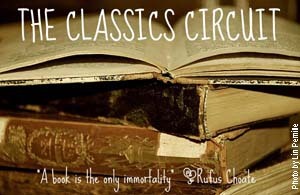 Thanks so much for your eagerness to celebrate the classics! 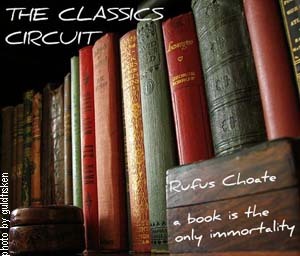 In the mean time, I created a logo for The Classics Circuit. Trisha also made up some buttons. Feel free to use them on your site if you are participating in the upcoming tours or even if you just feel like having a button! I do ask that you download them to your own computer. This entry was posted on October 30, 2009, 6:00 am and is filed under General Information. You can follow any responses to this entry through RSS 2.0. Both comments and pings are currently closed. Those are so nice, thanks Trish! Really looking forward to watching the tour and have managed to whip my entry into shape now I think.